The discovery -- documented in this SIGBOVIK white-paper by Colin McMillen and Tim Toady -- came about as the result of Jake Archibald's snarky twitter response to Adrienne Porter Felt, who said that she didn't want her kid to learn to program, she wanted him to "smear paint on the walls" -- to which Archibald answered "but is it possible to smear paint on the wall without creating valid Perl?" McMillen and Toady set out to answer the question and found that 93% of all paint spatters OCR to valid perl programs. While the results presented in this paper are novel and important, they only begin to break ground on what could be a very fruitful area of further research. 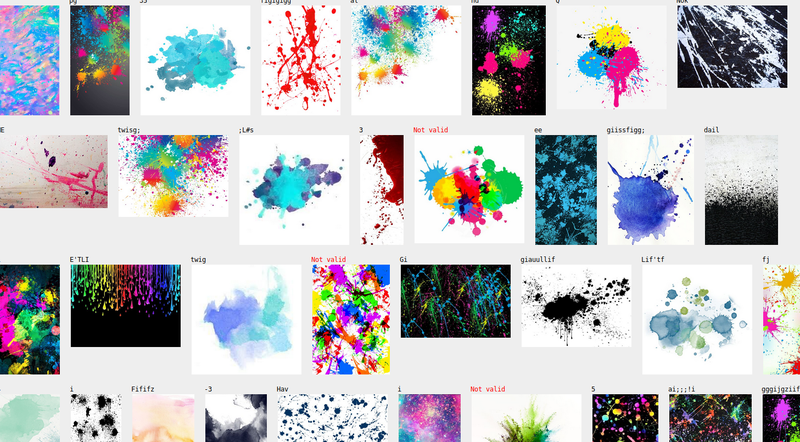 The dataset used in this paper is a relatively small dataset of only 100 paint-splatter images. It would be good to confirm these results on a larger dataset, and with a greater variety of images. Perhaps next time ImageNet won’t be down. We also noticed far too late that while the original question referred to paint smears, we elected to search Pinterest only for paint splatters. It is unclear at whether these results would change significantly for paint splatters vs. paint smears. Similarly, our choice to select images from Pinterest ensured that they were reasonably high-quality paint splatters, as at least one Pinterest user had chosen to “pin” that image as something worth saving for later. It would be worth investigating whether amateurish, lower-quality paint splatters — such as those produced by a young child — are less likely to be parsed as valid Perl programs.